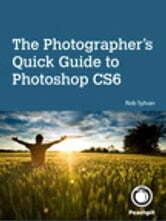 Get up-to-speed fast on new Photoshop CS6 features that photographers need to know! Photoshop has long been the industry standard editing tool for just about anyone who works with images for a living. However, Photoshop is such huge and powerful program that it can be overwhelming to discover and learn about just the new features that affect your workflow.